If you are looking for a tropical treat, try one of these Key Lime Cake recipes. From an easy cake to a rum cake, you will find a recipe that will delight your family and friends. 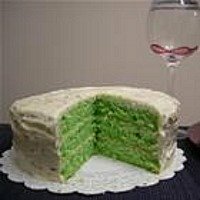 Although different, each recipe combines a refreshing, tart key lime juice flavored cake with a sweet frosting or glaze. Key limes can be hard to find. You can substitute fresh regular lime juice for key lime juice without sacrificing flavor. Easy Key Lime Cake is made using white or yellow cake mix and an easy cream cheese frosting. Key Lime Pound Cake is a homemade cake that utilizes ingredients you may already have in your pantry. Key Lime Bundt Cake is made from scratch with basic ingredients and baked in a Bundt pan. Key Lime Rum Cake is an easy, moist and delicious rum soaked cake.